The internet has become the largest distributor of information in the past decade. Positives of the internet are quick access and vast amounts of information that can be received and viewed by people all around the world at any time. However, with the positives, come negatives. Internet savvy people can take advantage of those who are less aware and knowledgeable about the technology. Many schemes and mass marketing fraud plans have emerged throughout the internet. People look for the quickest and most simplistic ways to earn money, or in this case steal money. Schemes dealing with credit cards, loans, lotteries and sweepstakes are ways that people are taken advantage of the internet and modern technology. Individuals receive mail either through standard postal services or e-mail telling them that they have won a substantial amount of money. These mail messages catch the eye of those people who rumble through mass amounts of personal e-mail and junk mail. Some of those people who are gullible or fall for these fraudulent schemes, call or reply back to the message. Once a return message is received from a potential target, their name is put onto a 'suckers' list. This list circulates among other scam artists who pay for these lists. Replying to one offer could place an individual on a list for many other scams. Credit card fraud is a popular way for scammers to make money or purchase new products without spending their own money. They steal identities by applying for credit cards in other people's names, counterfeiting cards, stealing or using a lost card. Credit card companies have tried to create functions on cards and in their systems to prevent usage when a card is lost or stolen. Lenders and brokers may also be fraudulent in their practices by getting clients to apply for loans they can not afford. They even mark up rates based on race or ethnicity. Having a loan in which you can not pay will also ruin your credit score. 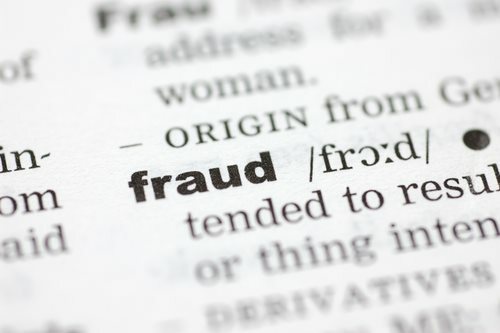 Fraud investigators advise people to do their own personal research when applying for loans. Many people have received messages about winning a foreign lottery or some unknown sweepstakes. These mass marketing scams send these notifications to a large amount of people. They wish to hook a couple of gullible people in that crowd. The catch is they have the 'winner' wire transfer processing fees in order to claim their prize. The 'winner' sends the fees and the prize money is never received, let alone sent. Having an awareness of these potential mass marketing frauds will help in determining which opportunities are real or not. Fraud investigators from the FBI and other government agencies warn people to read these offers intently and then call them into the authorities. Mass marketing frauds are everywhere around the world trying to take money from unsuspecting people. The more knowledge people have on these issues, the more likely people will recognize these scams.